St Petersburg movie theaters have become less formal and more fashionable over the past decade. Watching a movie in Saint Petersburg as for the whole Russia is the same as anywhere in the world. The only difference might be the language and the interior settings, depending on where you choose to go. Today there are many movie theaters offering big screens, comfortable seats, great Dolby audio systems, and of course popcorn. Basically, every major shopping center in the city hosts a nice cinema where everyone can enjoy a relaxing night movie. However, from a tourist point of view, a traveler on a visit to the cultural capital of Russia may prefer to experience a movie in an historical setting rather than in a modern cinema. And, I am also sure everyone who doesn't understand the Russian language would love to watch a movie with subtitles. If you are keen to get a flavor of the city by watching a Russian movie, and you agree with me, here's a list of 3 Great Movie Theaters centrally located that you should not miss during your visit to St Petersburg. Ready to go? 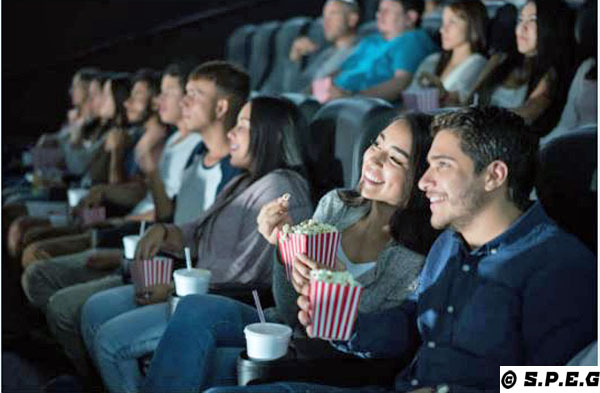 If so, check out our top picking list of St Petersburg movie theaters below, and enjoy a great movie. "The House of the Cinema"
Dom Kino was built during 1914-16 and is designed to resemble an Italian Palazzo. It has comfortable seating and great stage facilities making it perfect for theatrical performances. You can dine at the in-house restaurant which offers fine and exquisite dining. A library stocks a vast collection of journals and films relating to cinema. Dom Kino avoids mainstream films and focuses mainly on art movies. In the same building is the Rodina Theatre. Ticket prices are reasonable. "An Oldie But a Goodie"
Cinema is a coveted art form in St Petersburg. The Aurora is the oldest continuously operating movie theatre in the city (even during the 900-day siege of Leningrad) and is right on the bustling Nevsky Prospekt. Thanks to recent renovations the theatre has retained its classic interior while having the most up-to-date projection and sound equipment. Offerings are usually more alternative and foreign films often in their original languages. A smaller screening room, the White Screening hall is a luxurious hall featuring looted sculptures from aristocratic palaces, and beautifully elaborate chandeliers. Two cafes serve refreshments and light snacks, including popcorn. This is one of our favorites St Petersburg movie theaters! Rodina has three viewing rooms and differs from most other movie theatres in that it shows not just Hollywood movies and blockbusters, but also lots of not-so-famous movies in French, German, Dutch etc. They also feature short films like “the 5 best Italian short films of 2017” or a range of best short films from the Cannes Film Festival, and even silent films with live music. No popcorn or ice cream here, but rather a glass of champagne and a caviar sandwich. Please note that you can buy tickets upon your arrival at the cinema, or through the official website of the cinema you choose to go. Another cinema I feel like to recommend for a foreigner is the Angleterre cinema hosted at the prestigious Hotel Astoria.